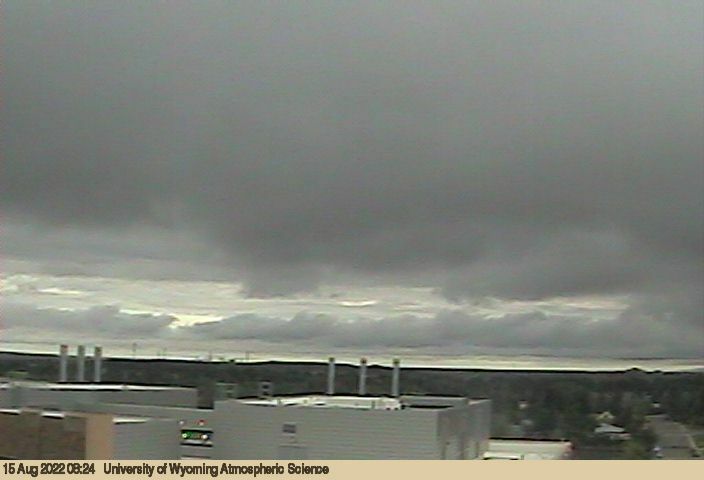 Looking northwest over Laramie, Wyoming from the Atmospheric Science Department located on the top floor of the Engineering Building at the University of Wyoming. This real-time image will update in seconds. MPG video of today's weather, or yesterday's weather.